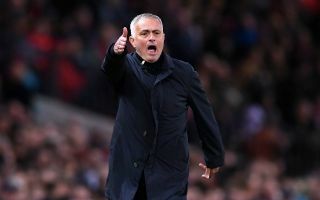 Manchester United manager Jose Mourinho has revealed what he said to his players at half time as they turned the Chelsea game on its head in Saturday’s meeting at Stamford Bridge. The Red Devils put in a solid display in the first half only to go in 1-0 down at the break, but they were much improved in the second period and went 2-1 up thanks to two goals from Anthony Martial. It wasn’t quite enough, however, as Ross Barkley snatched a late equaliser for the Blues to make it 2-2 right at the death and ensure a share of the spoils. Still, United did well to fight back against such an in-form side considering their own struggles this term, so how did Mourinho coax that second half display out of his players? Speaking afterwards, the Portuguese tactician explained that he simply told them they were not that far off being good enough to win the game, having played much better than they did before beating Newcastle 3-2 before the international break. ‘I told them that the distance between the first half and the second against Newcastle was a huge distance,’ Mourinho is quoted in the Express. ‘(Against Newcastle) we needed to improve dramatically. Today to win the game we didn’t need to improve that much. We just needed a little bit more in the final third. Having been so negative for so much of this season, fans will be happy to see this more encouraging message from Mourinho to inspire his players to give more and up their game.